HUGE PRICE REDUCTION!!! 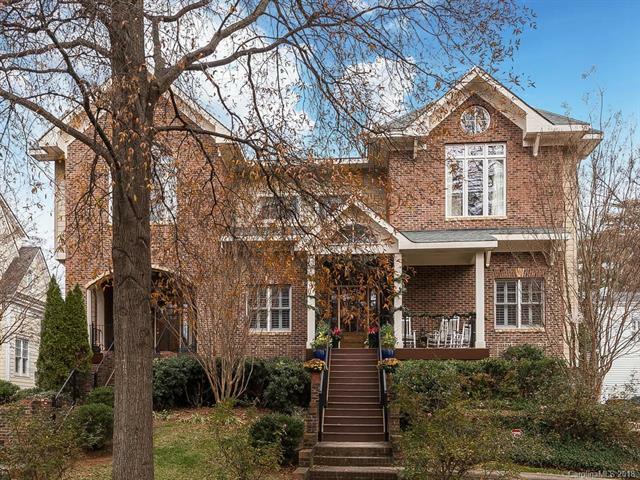 Wonderful opportunity on one of Charlotte’s favorite Myers Park streets! This beautiful townhome offers an open floorplan perfect for entertaining and features high ceilings, hardwoods on main level, with incredible attention to detail, including heavy trim and crown molding throughout. The gourmet kitchen includes an island and stainless steel appliances (gas cook top, microwave, wall oven, dishwasher, and refrigerator). Large master suite is filled with natural light and features vaulted ceilings with an updated master bath and spacious walk-in closet. Additional bedrooms are considerably large with Jack & Jill bathroom. The outdoor living space is perfect for entertaining, with an enclosed backyard and natural gas grill.